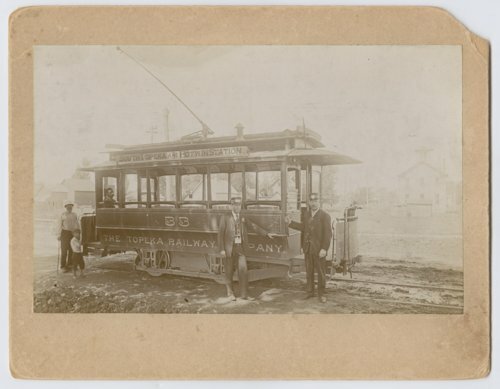 This is a photograph showing South Topeka and Potwin Station street car #33 in Topeka, Kansas. The car was owned by the Topeka Railway Company which purchased the line in 1892. It was the major transit line for the city until the 1920s when the Kansas Power & Light purchased the trolley line.